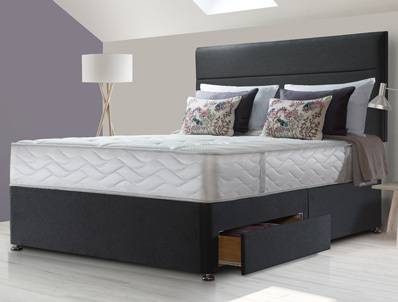 The sealy New Jubilee Latex offers great value with a weight responsive posture tech 620 spring system with a layer of Sealys innergetic latex on the top of this non turnable medium feel deep quilted mattress. The Jubilee Latex is enhanced by Sealys edge guard that provides a firm perimeter around the mattress for greater durability and comfort. Both smart fibres and Tencel fibres help the mattress stay cool, fresh and hypoallergenic. 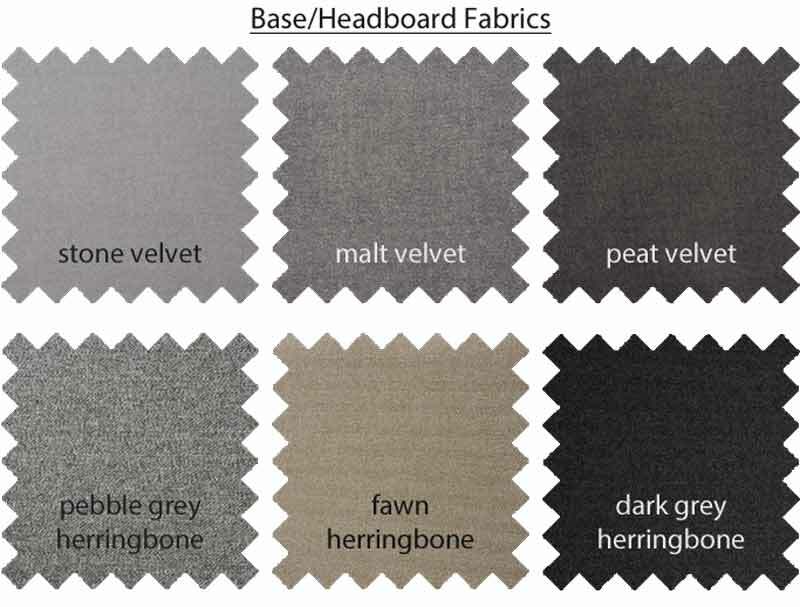 This non turn mattress sits on a platform top hard base which is available in 6 colourways Stone , Malt and Peat soft touch Velvet like fabric and Pebble Fawn and Dark Steel herringbone style fabric , Drawers are a option currently 2 drawers are free of charge on all sizes with a small upgrade to 4 drawers. You can also upgrade to a End open Ottoman base with ther choice of a 6 colourways , both these options are available as a upgrade. The Headboard pictured is called Kingston it is one of 3 headboard on Legs and 3 Floor standing headboards that can be added as an extra in the same matching Fabric.